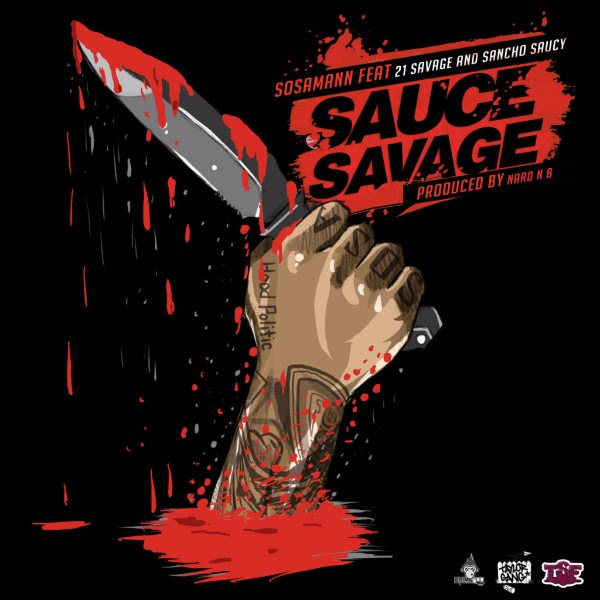 POPULAR KIDZ PROMO: SosaMan Recruits 21 Savage for "Sauce Savage"! Sauce Factory member and Taylor Gang signee Sosamann injects Texas street rap with an appealing dose of gonzo wordplay, buoyant personality, and broad humor. Riding a glistening trap production courtesy Atlanta sound architects Nard & B and XL, Sosamann elevates his game on "Sauce Savage," refining his caterwaul to rhythmic perfection. Joined by Sauce Factory associate Sancho Saucy, Sosamann welcomes an unlikely guest in 21 Savage, the notoriously taciturn Atlanta upstart. On "Sauce Savage," the exuberance of Sosamann and Sancho Saucy inspires a new side of 21, as he departs from his usual monotone for a more high-energy delivery. Premiered by The FADER, "Sauce Savage" is a bonafide banger and the beginning of a sauce-tacular 2017 for Sosamann, highlighted by his upcoming project Sauce Da World. "My boy Lil Steve is the reason for this," says Sosamann. "He hit 21, I called up my boys Nard & B who I record with every time I hit Splashlanta, and we sauced up. It was our first time meeting but we didn't have to say much. We just dripped a bunch of sauce." Born and raised in Houston, Sosamann rose to prominence in recent years as a member of the high-energy Sauce Factory collective alongside the Sauce Twinz, comprised of Sauce Walka and Sancho Saucy. By the beginning of 2016, Sosamann developed into a regional icon, drawing the attention of Wiz Khalifa, who signed Sosamann to Taylor Gang Entertainment. Last May, Sosamann released Sauce Eskobar, a 15-track effort laced with witty lines, next-level ad-libs, and street tales that showcase Sosamann's distinct energy. Following the album's release, Sosamann was the subject of a glowing profile from Noisey, who raved, "as a music genre, Sauce contains high amounts of mischievousness, and SosaMann’s songs are especially disruptive." In the Fall, Sosamann made two appearances on Taylor Gang's collaborative mixtape TGOD Vol. 1, joining Wiz Khalifa on on "Keep The Lies" and collaborating with Sauce Walka on "Feel Like Money." "Sauce is not swag," explains Sosamann. "It is not something you are scared to be doing or talking about. Sauce is freedom, and that’s the basic definition because when we talk about it we feel free... I’m in here entertaining and at this point in time I’m going to give you something to look at and that’s the Sauce, that’s the Flavor," Sosamann explained to Noisey. "Sauce is what I’m spilling, it is what I’m dripped in. It is what splashed." Sauce Da World is slated to release in the coming months.